Having an incorrect pH level can reduce plants’ growth, however, there is a risk of altering the nutrient levels when correcting the pH level. Knowing whether you have an acidic or an alkaline solution will help to know if your plants can properly absorb nutrients. Active hydroponics relates to when the nutrient solution is directly applied to the pump, which then supplies water to the plants. DWC, NFT, Flood and Drain, and Aeroponics are systems that make use of watering through a pump, often recirculating the water continuously. Medium choices for passive hydroponics tend to be coco, soil, vermiculite, or perlite and should remain stable and constant to ensure the proper growth of plants. The pH levels of your tank should be checked weekly, with a recommended pH of between 5.8 and 6.5. You can use a liquid pH test kit or a digital pH meter to make sure that your solution isn’t acidic or alkaline. If your solution is has a pH above 6.5, you can add phosphoric acid (pH Down) and if the solution is below 5.8, you can add potassium hydroxide (pH Up). Note: Both phosphoric acid and potassium hydroxide are very strong, and should never be mixed together. Make sure to follow the product instructions. Electrical conductivity measures the ability of materials to conduct electric currents. This directly relates to the amount of salts that is dissolved in and, as such, a higher amount of salts translates to a higher electrical conductivity. With hydroponic nutrients mainly being made of mineral salts, electrical conductivity helps to know how many nutrients your solution has. Electrical conductivity helps you to know if your solution has lost either water or nutrients. The leaves and the stems start to wilt. The leaves can wither or die after being scorched around the edges. Water tends to fall into hard or soft categories, with the difference being the amount of bicarbonates and salts that exist dissolved in the water. Hard water typically contains large amounts of both bicarbonates and salts, while soft water typically has a lower amount. When it relates to plant growth, hard water forms layers of calcium and salt on either the soil or the roots, which results in water being repelled over time. Fertilisers might already have a high quantity of salt, which will make it difficult for water to reach the roots. Tap water’s main issue is chlorine, which is added for human consumption but isn’t good for plants. Although chlorine can be a micronutrient for some plants, the needed quantity is extremely minimal and plants don’t require more to be added. Chlorine causes impaired root growth, diminished growth, and beneficial microorganisms to be killed off. Plants need beneficial fungi and bacteria so that organic nutrients are available to be absorbed by the roots. Both chlorine and chloramines can cause damage to your plants, particularly to salad greens, strawberries, and lettuces. Tap water isn’t advised for hydroponics, as these components are added to treat water. Soil acts like an effective barrier between chlorine and your plants but, in hydroponics, dissolved particles have a larger impact on plants than on soil. Chloramines are added to water in substitute of chlorine due to the latter’s strong taste. Although it kills bacteria in water for its consumption, in hydroponics it can cause plants to have stunted growth. Both chlorine and chloramines disintegrate naturally when exposed to UV radiation, and exposing the solution to sunlight is an easy way to fix it. 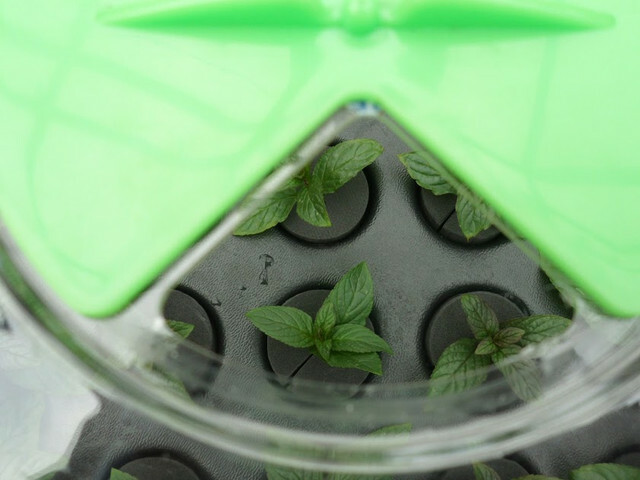 Regardless of the grow system you use, water in hydroponics needs to have a balanced temperature. Ideally, for the nutrient solution to be at its highest effectiveness, the water temperature needs to be between 18℃ and 26℃ degrees. The nutrient solution could include nutrients such as iron, potassium, Zinc, Nitrogen, Manganese, Copper, Phosphorus, Magnesium, Calcium, and Sulfur. As plants don’t like rapid changes of temperature, it’s advised to equal the temperature of the water you’re adding to your tank to the water the latter already contains. When your plants are still in their vegetative phase, they should have light for approximately 18 hours. When your plants are in their flowering phase, approximately 12 hours of light are advised. You can use a 400W light at 40cm distance, 600W at 40-60cm distance, and 1000W for 60cm distance. With a wide range of products for hydroponic growing, at Nutriculture we have everything you need to grow your plants healthy and strong.